It is my first time to go Ishigaki. Originally i has applied in Veltra for a SUP activities provided by another service provider, however, I was notified by Veltra that the original service provider has to cancel the activities the day before due to windy weather. I was so disappointed and i need to source for another SUP activities again in Veltra immediately. I have chosen this company as it is the only one provide SUP activities in my available day. It include pick up service, the staff came to pick up us on time. 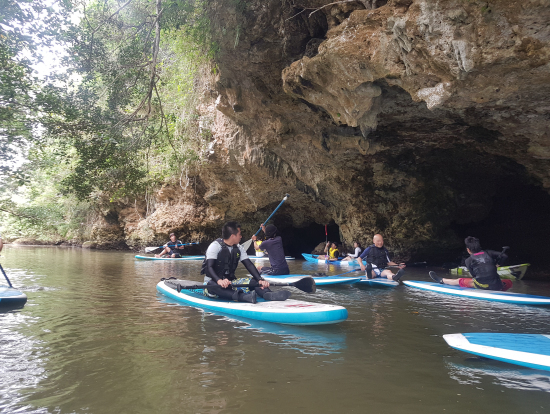 However, we were notified again that the weather is windy, so we can't go to the planned location for the SUP, we need to go Mangrove for the SUP. The view there is definitely not as good as the bay, luckily, the staff/ guide is very caring. They are very talkative and actively help us to take a lots of photos. They can speak english very well, people who join the activities in this company no need to worry about the communications. The activity last for around 2 hours and it is very fun overall. But It could be better if the SUP location can be in the bay. The staff also give special care to oversea travellers. As we are the only couples come from Hong Kong, while other participants are Japanese, the staff still spend quite a lot of time to talk with us. Very good. Can learn in short time and enjoy the time for relaxation. The couch speaks English not very well though. He was so eager to communicate with us. Also his introduction of SUP was detailed and easy to learn. The high lighted point was definitely the photos taken by him. 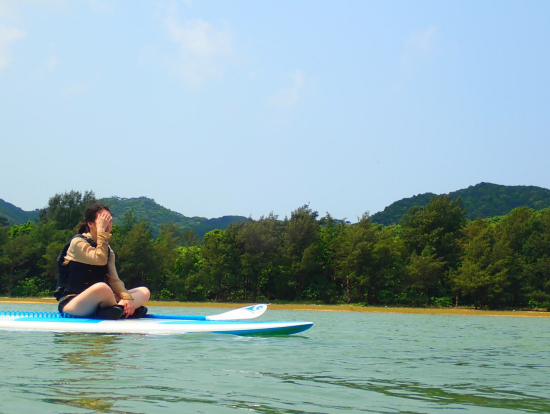 if you want to spend time on relaxing and also like water activities, I would recommend you this one.